War is coming. The fate of all creation is at stake. But the deadliest beings in existence fight at your command. In the battle for Estara you're not alone. Whenever your back's against the wall you can summon the power of the Ancients to your side. These mighty beings channel their power directly through the Primus - the essence of creation. They are feared and deadly warriors, masters of magic, beneficent spirits and malevolent demons. And they'll help you… if they deem you worthy. Lyris and her sisters Kyna and Serra were spirits who could harness the power of lightning. They were captured by mortals who forced them to generate energy for their city. When the Ruin attacked, the sisters were freed by their mortal guard. Lyris was grateful for his act of compassion but her sisters were angry after their long years of enslavement and killed the guard without hesitation. As the Ruin forces swept through the city, the sisters were separated. Lyris hopes to find Kyna and Serra again on Estara but fears they may have been corrupted by the Ruin. Moloch's ability to win battles at any cost saw him rise to become a feared and deadly General. But this ruthless strategy also lead to his demise. On being ordered into yet another suicide mission, his own men chose his death over theirs. He killed dozens in the mutiny before succumbing to a thousand stab wounds. Foreveil was the eldest son of the Snow Leopard Clan who fell in love with Birna of the Ice Bears. But this union did not please everyone. On their wedding night a witch doctor from the White Eagle Clan cursed the couple, causing Foreveil to mutate into a huge dragon. The lovers attempted suicide in the hope they would be together in the afterlife. But the curse was stronger than death itself and now they roam the multi-realms by each other's side. Kestra was a legendary freedom fighter, famed for her ability to track enemies by their scent on the wind. Her guerrilla campaign against the encroachment of city settlements on her tribe's sacred land came to a tragic end when she was assassinated on the orders of the settlement governor. This made her a martyr and her followers immortalized her name in songs and poems. This devotion gave Kestra a new life within the spirit world where she has the ability to bend the forces of nature to her will. She has come to Estara to join the fight against a common foe. Sulric grew up on the slopes of an ancient volcano. During the great famine, his brother Anir was chosen as a sacrifice to the 'Sleeping Flame' in the hope the fire god would inhabit his body and save the village. But before Anir could be thrown into the fiery depths, Surlic dove in himself. The volcano started to rumble and Sulric erupted, imbued with the spirit of the fire god. However, he was angered at all the lives taken in his name and so destroyed the village completely in his fiery wrath. War is coming. The future of creation hangs in the balance. As the newest recruit to the elite 'Guardian' army, you are charged with defending the planet Estara against the forces of the Ruin. How did it come to this? Explore the history of the Darkening and you'll discover that this is a war whose origin lies before the very start of time itself. Story and characters by Rhianna Pratchett, lead writer of Tomb Raider. In the time before time, the celestial siblings Maia the Creator and Nihilim the Destroyer fought each other for dominance of the cosmos. Maia triumphed and the realms of existence were born. But the forces of destruction were not extinguished. Nihilim's army returned to settle an old score with Maia, unmaking her universe one realm at a time. Nihilim's army, known as the Ruin, set out to destroy a rare and powerful substance known as Primus. These crystals of pure energy buried deep within the earth contained the very essence of creation. But Maia had prepared for this and created great beings known as Ancients who derived their power from the Primus. These legendary creatures waged war against the Ruin across the cosmos. But as their powers weakened, it looked like the time of the Ancients was at an end. But then a beacon shone out through the darkness from the planet Estara. For in that place there was an abundance of Primus. The mortal inhabitants of Estara had built special shrines directly on top of the Primus seams which became doorways for the Ancients. The forces of the Ruin followed them through these portals however, and another conflict loomed. The great battle that followed was known as 'The First Darkening' during which Ancient, Ruin and mortal forces all but wiped each other out. When the fighting drew to a close, the Ancient shrines were dismantled so neither Ancient nor Ruin could enter Estara again. 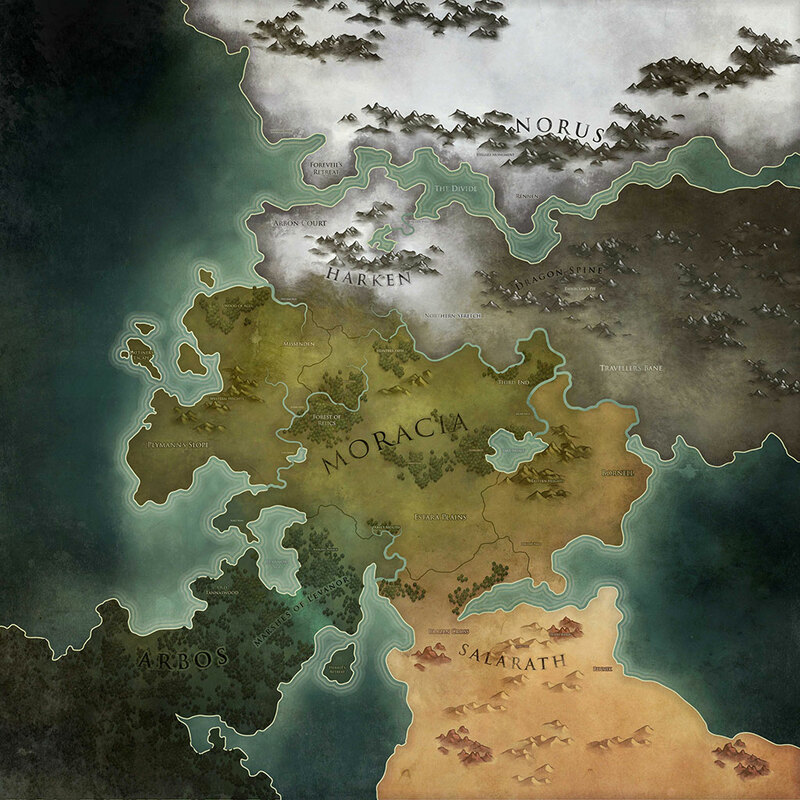 The few Ancients that remained became weak and dormant and the mortals that inhabited Estara gradually rebuilt their civilization without their aid. In the centuries that followed there was peace. But little by little the Ruin found their way back to Estara and a new Darkening loomed. The inhabitants of Estara knew they couldn't defeat the Ruin on their own but must reactivate the shrines and bring the Ancients back. A new alliance must be forged for, whether they like it or not, the fates of both Ancients and mortals are inexorably tied together. Fight to rid the planet Estara of the malign influence of the Ruin. Uncover the tragic histories of humans and Ancients as you resist the corruption of your realm. Earn powerful rewards and unlock new abilities as you progress. Take on other players, raiding their strongholds to loot precious gold. Earn chests and Honor as you increase your Win Streak. Fight ever more challenging battles to master the leaderboards and carve your place in history. Forge allegiances with other players and form your own Kingdom. Together you'll climb the Kingdom Leagues by fighting head-to-head with your enemies in multi-Kingdom wars. Players within a Kingdom can be assigned special roles such as Sentinels, Raiders or Lords that give them special abilities. Take on all comers in single combat. Show off your abilities and leave your enemies with the bitter taste of defeat. Limited time events (coming soon) will test your mettle and earn unique rewards. As a New Darkening looms, the realm of Estara has been plunged into war. As you explore this ancient land, you can join the battle in individual and multiplayer warfare. In Kingdom mode you can band together with other players to form your own Kingdom and prepare for war. Individual players within a Kingdom can be allocated specific roles, such as Sentinels, Champions or Lords, each with their own rewards and responsibilities. The Sentinel role is about protecting your Kingdom from incoming attackers. It's your responsibility to make sure your structures are state-of-the art and your defensive layout is optimal. The Champions responsibility is to strike at your opponents' bases as you drive onwards to their King's Castle. Enrol your Kingdom in the Leagues and fight in massive Kingdom vs Kingdom wars for incredible rewards! As you play you can get upgrades to boost your Kingdom's capabilities. At the Royal Mint you can acquire currency to fund your expansion, new roles can be unlocked at the Hall of Champions, and even more improvements are available at the Harbor.